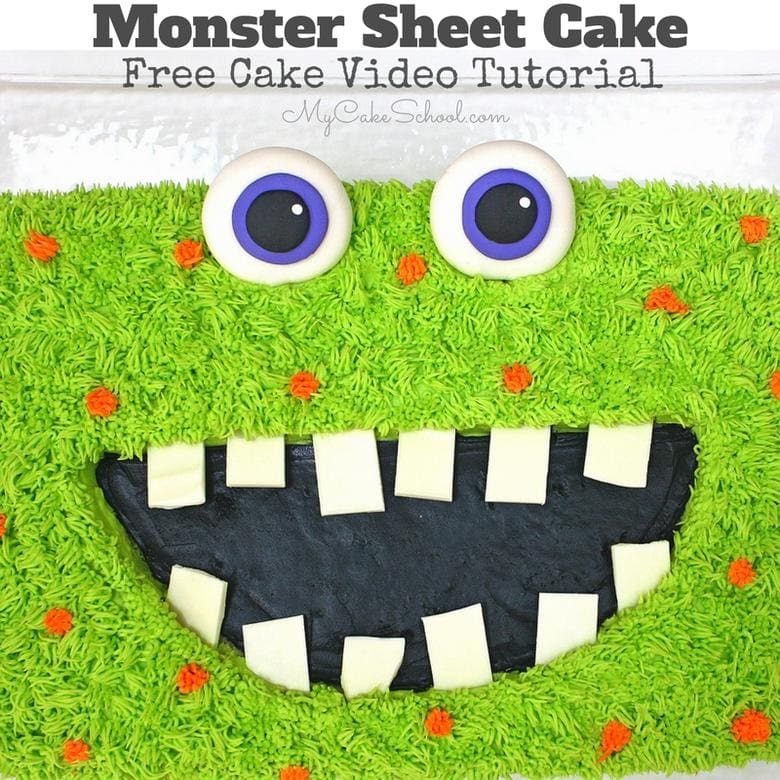 In today’s free cake video tutorial, I’m going to show you how to make a funny and super easy Monster Sheet Cake! This fun buttercream design is perfect for any skill level of cake decorating, and is great for kids’ birthdays and Halloween parties! 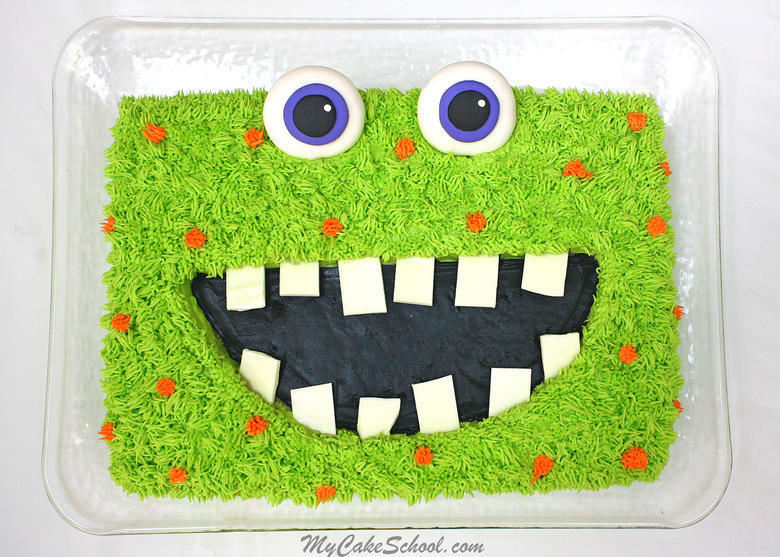 I have never been into scary Halloween cakes, and so of course our monster today is a little on the goofy side with his crazy smile and funny teeth! 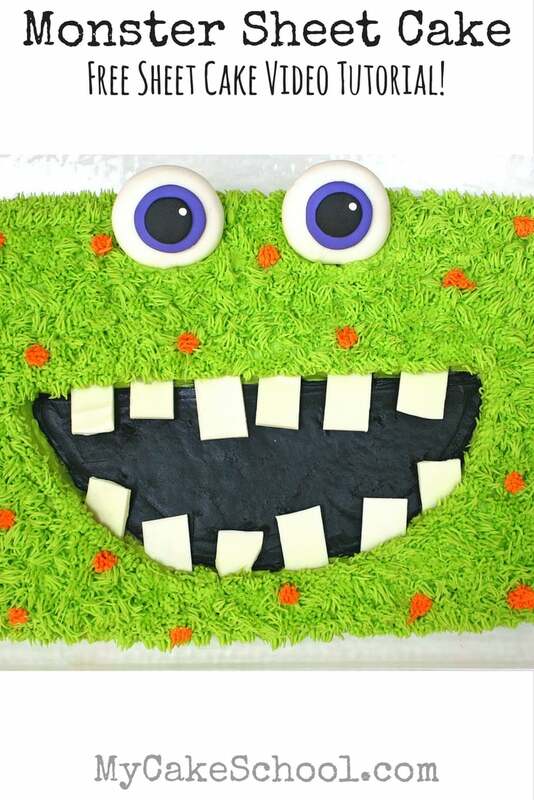 One of the best things about monster (or alien) cakes is that absolutely anything goes. You can change up the colors, add a few more eyes, change the teeth, add a nose or antenna ….the options are endless! Piping buttercream fur with my grass piping tip didn’t take nearly as long as usual because I wasn’t worried about making the fur a uniform length. 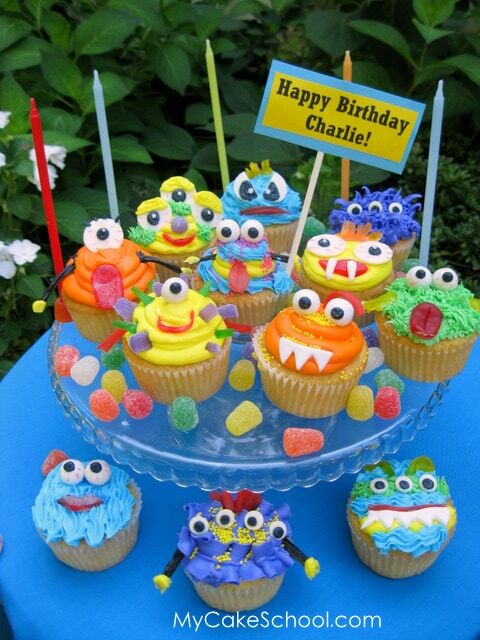 Just shaggy, crazy, buttercream fur piped in every direction. It goes much more quickly that way, and the texture is perfect for a funny little monster. I mean, who wouldn’t love this face? Thanks for stopping by! Don’t miss our full collection of favorite cake and frosting recipes in our Recipes Section, or click this link for even more Free Cake Tutorials! Well isn’t that just stinkin’ cute! :-) I love it. Simple and fun! Do you have a recipe for sheet cake? Why don’t show how to make the cake….????? Hi Alana- This design works well no matter what size or flavor of sheet cake you are working with. You could use any of the cake recipes in our Recipes section.